The Universe is made up of Energy. All of it. Everything is composed of little bits of energy, of little molecules - protons, electrons, and neutrons. Everthing is made up of this energy in an infinite amount of different configurations. The air we breathe is literally energy. We can't see it, we don't consciously have to consume it, and we often forget about it. Yet it is always there and the most vital energy that we need. But do we appreciate every breath? 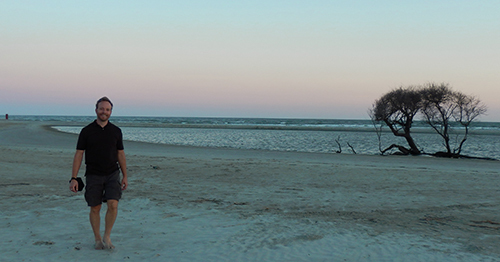 Do we appreciate the air we breath and all of the energy it brings to us to heal, rejuvenate, and energize our bodies, minds, hearts, and spirit? What if we could bless the air we breathe as it enters our body. What if we blessed the air as we gave it back to the world? What if we appreciated and blessed the energy that we got from the air, water, and food and we used that positive energy to heal our bodies, to do go things, to give back to others? Wouldn't that be amazing? Wouldn't the world be a more beautiful place. The good news is you can. Bless the energy you recieve from the world. Be grateful for the air we breathe, the people we meet, and everything in the universe. We are all connected, we all share this place together. Use your positive thoughts, positive actions, and positive energy and do things that are of benefit to you and to others. Here are few Mettâtation videos to get you started. COMING SOON! 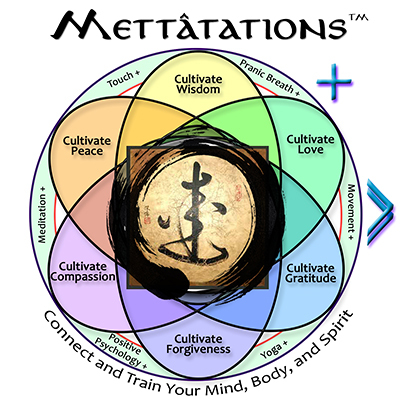 Mettatations were specifically designed to help you cultivate virtues like positive energy.